Blackwell had been suffering for almost exactly a year, first being hospitalized while touring Japan after he lost the use of his left arm and leg. Last month, it was revealed that he was suffering from a number of brain tumors. Blackwell started playing drums at the age of 3, learning from his father who played for the likes of Mary Wells, King Curtis, Joe Simon, the Spinners and others. He was a natural with perfect pitch and claimed to be able to see notes as colors. He began his professional career at 13, playing in clubs and, by 17, was backing Billy Eckstein. After attending the Berklee School of Music in Boston, he worked with Cameo and Patti LaBelle. It was while with LaBelle that he met Prince and, in 2000, joined the New Power Generation. Blackwell was with Prince until 2012 although he toured with Justin Timberlake in 2006 for his FutureSex/LoveSounds album. Later, he played with Frankie Beverly and Maze, Bootsy's Rubber Band and D'Angelo. 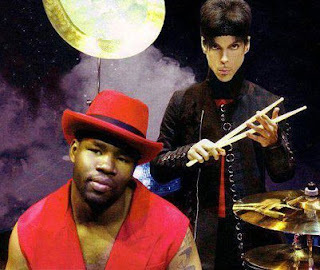 He has recorded a solo album, The John Blackwell Project, and a drumming technique DVD. Hands down the absolute finest most musical drummer to ever play with Prince next to Shelia E.! John was an incredible blend of unique personal style and musical vision that made his playing as great as it was! A master showman and brilliant musician, he will be missed but never forgotten.